Wood, Wood Charcoal and Wood articles falls under HSN code chapter 44 of GST commodity tariff schedule. The details about GST rate changes on sale of Wood, Wood Charcoal and Wood articles are being updated here. The notification changes on exemptions on GST on sale of Wood, Wood Charcoal and Wood articles and other circulars related to GST on Wood, wood charcoal, wood articles are updated in this website. 1. GST HSN chapter code 4404 Hoopwood; split poles; piles, pickets and stakes of wood, pointed but not sawn lengthwise; wooden sticks, roughly trimmed but not turned, bent or otherwise worked, suitable on the manufacture of walking-sticks, umbrellas, tool handles or the like. 2. GST HSN chapter code 4405 Wood wool; wood flour. 3. GST HSN chapter code 4406 Railway or tramway sleepers (cross-ties) of wood. 4. The following goods, namely: — a. Cement Bonded Particle Board; b. Jute Particle Board; c. Rice Husk Board; d. Glass-fibre Reinforced Gypsum Board (GRG) e. Sisal-fibre Boards; f. Bagasse Board; and g. Cotton Stalk Particle Board h. Particle/fibre board manufactured from agricultural crop residues. 5. GST HSN chapter code 4415 Packing cases, boxes, crates, drums and similar packings, of wood; cable-drums of wood; pallets, box pallets and other load boards, of wood; pallet collars of wood. 6. GST HSN chapter code 4416 Casks, barrels, vats, tubs and other coopers' products and parts thereof, of wood, including staves. 8. GST HSN chapter code 4420 Wood marquetry and inlaid wood; caskets and cases for jewellery or cutlery, and similar articles, of wood; statuettes and other ornaments, of wood; wooden articles of furniture not falling in Chapter 94. 7. Wood paving blocks, articles of densified wood not elsewhere included or specified, Parts of domestic decorative articles used as tableware and kitchenware. In India, GST is payable for Wood, Wood Charcoal and Wood articles. However, some of the categories of business under HSN code 44 are expected to be exempted from paying GST. The list of exemption commodities under GST is expected to be released soon. What is the GST rate on wood wool (excelsior), wood flour? How much GST on railway or tramway sleepers (cross-ties) of wood in India? GST tax on particle board & similar board of wood etc. 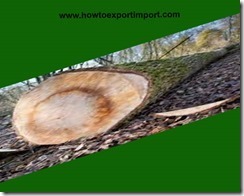 Goods and Service Tax slab on fuel wood in logs etc., wood in chips, etc. Tax of GST on wooden frames paintings, photographs, mirrors, etc. 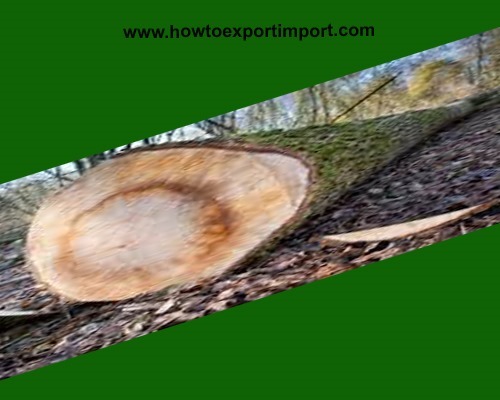 What is the GST tariff on articles of wood? Sanchit: On 03 June 2017 What rate of tax under GST is applicable on debarked hard wood supplied to paper mills? What rate of tax under GST is applicable on wood chips (chipped hard wood) supplied to paper mills? Rajesh Kumar: On 27 June 2017 What about the gst rate on sawdust Particle board??? amalendu saha: On 01 July 2017 what is GST rate on logs? sahil: On 08 July 2017 what is the gst rate for wood ?